Poll: Do you make an effort to not buy fast fashion? Cheap, disposable clothing has a big environmental impact. 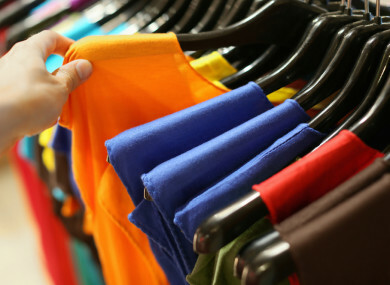 CHEAP CLOTHING, SOMETIMES referred to as ‘fast fashion’, has a big environmental impact. Many people make an effort to recycle more and cut back on their carbon footprint, but they may not be as aware of the impact their clothing choices could have. As explained here, synthetic fibres don’t biodegrade and are derived from coal and petroleum products. Globally, people consume 80 billion new pieces of clothing each year – 400% more than 20 years ago. The production of fast fashion can also lead to worker exploitation, chemical pollution and depletion of natural resources. We want to know: Do you make an effort to not buy fast fashion? Email “Poll: Do you make an effort to not buy fast fashion? ”. Feedback on “Poll: Do you make an effort to not buy fast fashion? ”.